There was a certain branch on an eastern cottonwood tree on the 4th hole that has been the target of many curses for the past 10 years. For those with a low-trajectory drive playing from the front of the white tee, this branch was often in their flight path - especially if they were compensating for a slice. This hole favors golfers who can play a draw so that they can stay to the left side of the fairway and avoid the twin cottonwood trees on the right. You can also go over the trees with the right club selection. Either way, many golfers will be glad to know that the most offending branch is now gone. The tree remains, however, to guard the left side of the hole, and to keep things interesting. The result makes the hole a bit more fair for those hitting from the white tees while retaining the challenge and uniqueness of this par 4 which plays 315 yards from the white tees and 350 yards from the back tees. 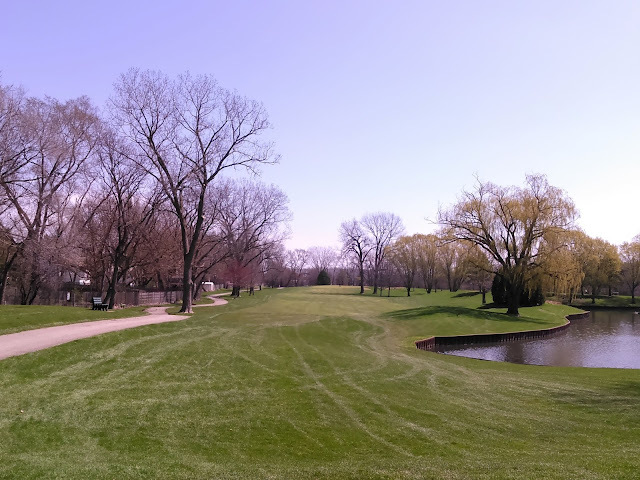 It is interesting to note that the cottonwoods on this hole are some of the only trees on the golf course that were present before the golf course was built and are still alive (the others were ash or box elder that have since died). 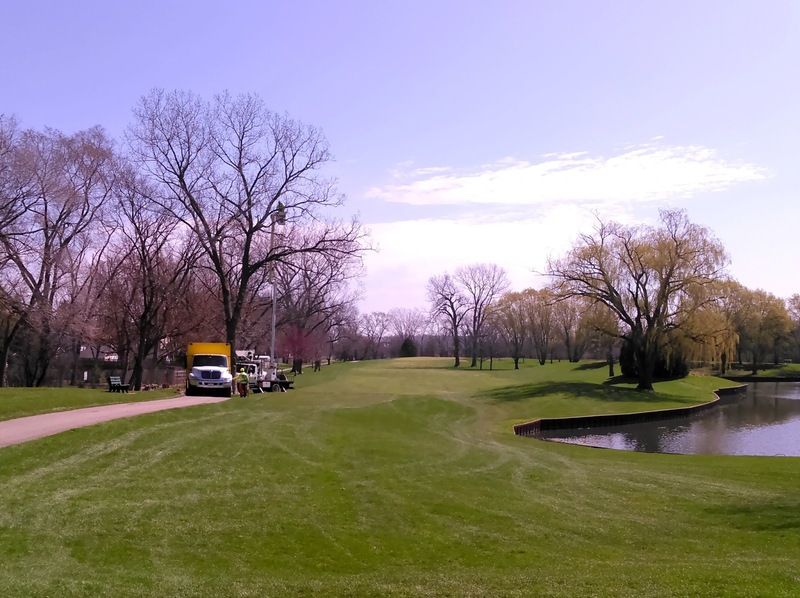 The cottonwood trees on the right and left of this fairway were carefully saved during construction. You can see them by looking through the construction photos here: Construction Photos Slideshow There are more than one way to play around these trees, but they force the golfer to get creative and think ahead on both the drive and approach shots.